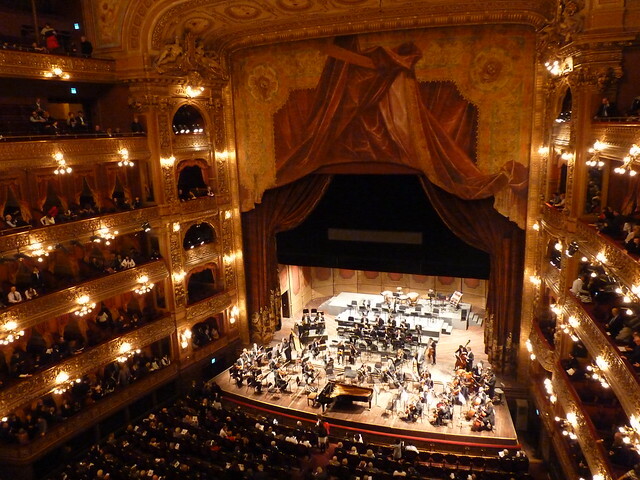 On Monday the 3rd of September at 8.30pm, the Colón Theatre will be opening its lavish doors to the public for a special concert featuring renowned Korean soprano Sumi Jo and the local tenor Dario Schmunk, directed by Arturo Diemecke. The event, which celebrates Argentina’s fifty-year anniversary of diplomatic relations with Korea, will include a broad spectrum of music pieces by Beethoven, Verdi, Tchaikovsky, Adam, Lehar, Offenbach and Ahn. Tickets to the event will be available on Saturday from 10am at the Colón Theatre box office and a maximum of two tickets per person will be handed out until the theatre`s capacity is reached. Cerrito 628, Downtown. 4378 7100. This entry was posted in Buenos Aires Agenda and tagged argentina, Arturo Diemecke, buenos aires,, colon theatre program, Dario Smunk, free concerts, september 2012, Sumi Jo by Fierro Hotel Staff. Bookmark the permalink.